The burden of a federal court order mandating the free release of poor misdemeanor defendants from jail has fallen onto the Harris County Sheriff. County data shows more than 40 percent of the sheriff's bonds fail because defendants aren't showing up to court, but critics say that number doesn't tell the whole story. 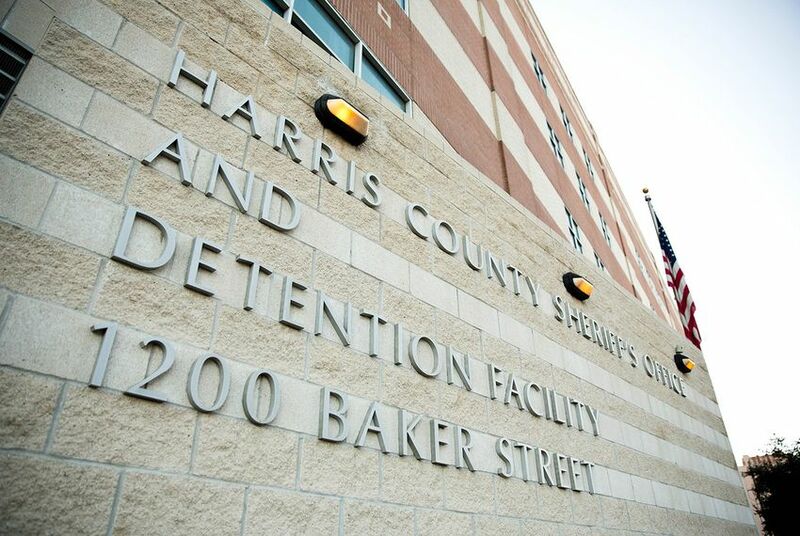 When a federal judge ruled this year that Harris County wrongfully held poor misdemeanor defendants in jail while awaiting trial, she placed the responsibility of issuing her mandated bail orders in the unpracticed hands of the county sheriff’s office. The county courts, which usually make bail decisions, were largely untargeted in the order regarding their judicial discretion, and so they have focused their efforts on reforms they implemented a month after the judge’s ruling took effect. That combination has led to confusion within the state’s largest pretrial system, and the blame for any failure shifts depending on who’s talking. One data point that has come out from the county shows more than 40 percent of the court-mandated bonds issued by the sheriff were forfeited because defendants didn't show up to their hearings. Supporters of the order say these numbers are inflated because those released by the sheriff are often given wrong court dates upon their release from jail. In an injunction that went into effect in June, U.S. District Judge Lee Rosenthal mandated that virtually all those in Harris County accused of misdemeanor offenses — which include shoplifting and driving with an invalid license — must be released from jail within 24 hours of their arrest, regardless of their financial ability to post bond. She sided with the plaintiffs in a lawsuit against the state’s most populous county, saying its bail system unfairly detained poor people while releasing similar defendants who could afford to pay their bonds. The order, under review by the 5th U.S. Circuit Court of Appeals, was complicated by the county’s own reforms. In July, the county switched to a nationally accredited risk-based bail system where low-risk defendants — those deemed likely to stay out of trouble and go to their court hearings — are usually released on a no-cost “personal bond,” whether they have money or not. Other, higher-risk defendants must generally pay a bond amount for their release or stay in jail. But Rosenthal has required the release of those higher-risk defendants, too. So, while the county courts focus on low-risk arrestees, it has fallen on Sheriff Ed Gonzalez to ensure Harris County is following the federal order and releasing higher-risk defendants who can’t afford their bond within a day of their arrest. Under the injunction, his department has issued about 6,000 unsecured bonds, where no money is due upfront. County reports on misdemeanor bonds show the people released on these sheriff-issued bonds are less likely to show up to court. From June to October, 45 percent of those bonds were forfeited or revoked, almost always because the higher-risk defendants did not show up for court hearings. That’s compared with a 26 percent failure rate of judicially set personal bonds for those deemed low-risk. Elizabeth Rossi, a lawyer for the plaintiffs in the lawsuit, said those numbers should be taken “with a huge grain of salt” because of mix-ups with court dates, complications in setting up the new release system and a criminal justice system that has been scattered after Hurricane Harvey. County Commissioner Rodney Ellis also questioned the accuracy of the county’s data in a letter sent to the county attorney Monday, noting that there have been reported confusions among judicial officers on how to report bond failures. Still, county officials have pointed to the high failure rates for sheriff-issued bonds as proof that a risk-based bail system works better than a financial one. Supporters of the lawsuit argue that blame lies on the judges and magistrates resisting the court order and focusing on the risk-based bail system, leaving execution of Rosenthal’s order to the sheriff’s office, which has never previously issued bonds and has no system in place to monitor released defendants. Melissa Spinks, an attorney representing the county in the lawsuit, said the county is committed to its new risk-based system, which was endorsed by all criminal justice officials in the county and cost millions of dollars. Judges and magistrates are making bail decisions based on risk using this new tool, called the Public Safety Assessment (PSA), not based solely on a defendant’s finances, she said. The implementation of the PSA has garnered praise from most reform advocates and even Rosenthal. Data shows it has led to the release of more low-risk defendants on judicially ordered personal bonds. But Judge Darrell Jordan, the county’s lone Democratic misdemeanor judge among 15 Republicans, said it doesn’t address the lawsuit. “They’re talking about a risk assessment tool, but we’re being sued for jailing poor people and letting rich people go,” he said. Since Rosenthal's order relies largely on the sheriff to ensure defendants are released within 24 hours, magistrates have been particularly hands off. Alex Bunin, the county’s chief public defender, said that even though judicial officers often know the defendant will not be able to afford their bond amount, they stick to the risk assessment and leave it to the sheriff to carry out the court order. “I’ve never heard a magistrate say, ‘I have to release you based on the court order,’” Bunin said. He said he doesn't think that the “passive resistance” by magistrates is ill-intentioned, but rather due to their belief that the risk system is a better reform than the court order. “We think a risk-based assessment tool is far better than just saying, ‘Can you afford to pay this or not?’” Spinks said. The federal appellate court also appeared to take issue with some of Rosenthal’s order. In an October hearing, judges seemed skeptical of the injunction’s 24-hour deadline, especially because defendants sometimes have not yet seen a magistrate before that time. It is unknown when the court will issue a decision on the ruling, and the merits of the lawsuit have yet to be scheduled for arguments. But since high-risk defendants are having money bail set for them by judicial officers, the ones who don't pay their bonds are being released by the sheriff’s office at no cost. That means they receive fewer services to help them get back in court. Defendants who are ordered for no-cost release by a judge or magistrate are entered into the county’s Pretrial Services department, which works to ensure those out on personal bonds know the date of their next court appearance and can provide additional conditions like drug testing, mental health services or GPS ankle bracelets. Those released by the sheriff aren’t monitored once they leave the jail, Summerlin said. Jordan, the county’s only misdemeanor judge who has voiced support of the order, likens the actions of the magistrates and his fellow judges to those of Republicans in Congress weakening the Affordable Care Act. “It’s like when you want something to fail, then you’re not going to be as likely or as willing to have a clear plan or to work to fix something,” Jordan said. Not only that — it’s also complicated any future analysis of how reform efforts are going, Bunin said. *Correction: This story has been updated to add more context regarding the bond failure data released from Harris County. It has also been corrected to more accurately qualify the bond failure rate provided by the county.